Dr. Lanou and colleagues published an important study in Pediatrics. The study, a meta-analysis of 58 previously published papers, reported a surprising finding about diet and bone health in children. 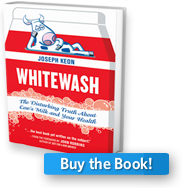 The findings are discussed in Chapter Two of Whitewash: The Disturbing Truth about Cow’s Milk and Your Health.